Why Waste an Entire Plate on a Single Slice of Pizza? 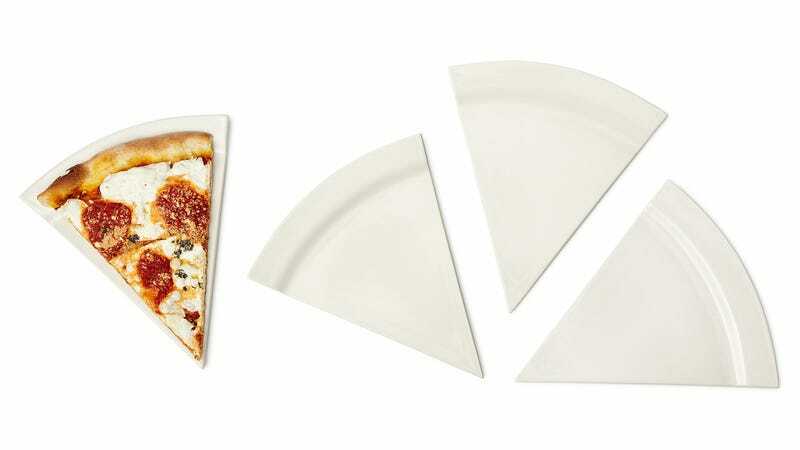 Although part of the beauty of a slice of pizza is that eating it requires neither silverware, nor plates, there are still plenty of people who wouldn't think of eating a meal without the proper tableware. They should consider serving their slices on three-sided Pizza Plates that—surprise—are divided into slice-shaped wedges.